From New York to Tuscany, we’ll be on the road quite a lot this year. 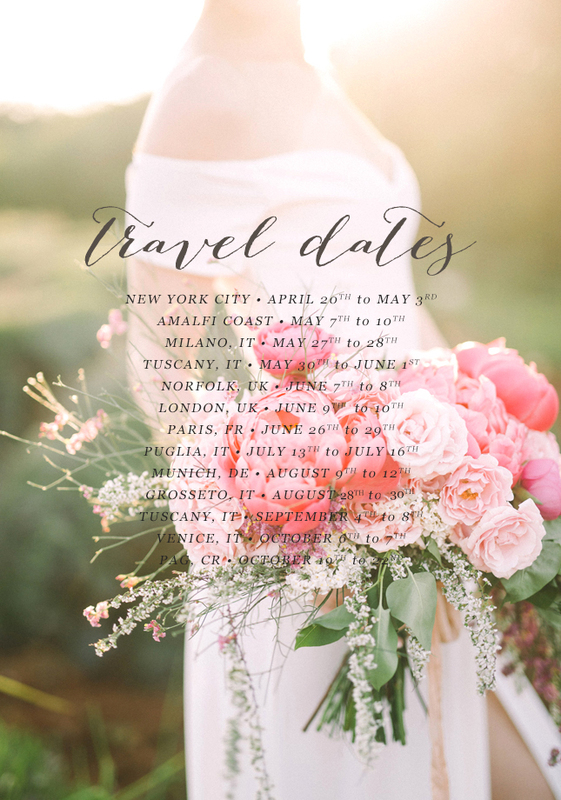 Here are out travel dates for this wedding season! If you, too, are in any of these places at the same time, I would love to meet you. This is a great opportunity to schedule a wedding consultation or book your photo session with us at a lower cost (as no travel fees will apply! ).